The Siberian Crane, scientifically called 'Grus leucogeranus', is one of the migratory birds coming from Russia in Yakutia and western Siberia. Blessed with unbelievable skills of flying, this beautiful world has now become one of the critically endangered bird species. White in feather and a brick-red in color, the Siberian Crane hypnotizes the onlookers by her innocent creations. It winters here in the central and northern part of India. 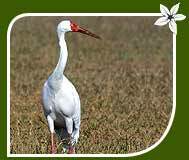 The Siberian Crane is a large white birds with some colourful marks on the cursive neck. 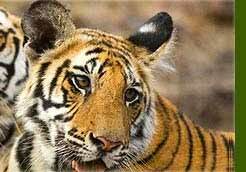 The large males among them some time crossed to 140 cm (55 inches) in length and weigh over 10 kg (22 lbs). The adult cranes have full white feather, a dark red mask which covers more than half of the head including eye. Its legs are yellow iris and reddish. They make a flute like voice which hears like flowing music to its watchers. You will surprise to know feeding is the most interesting activities and main motive of their migrating from one extreme to another. The most favorite diet of crane is the roots and the starchy swellings found on the roots of certain plants called tubers. 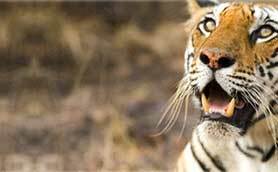 They also eat seeds, small mammals and reptiles, eggs of other birds, and invertebrates, such as worms, clams, insects, and crayfish. Originally, crane breed in Russia in Yakutia and western Siberia and they are considered a long distance migrant. The eastern population migrates in winter to the Yangtze River in China, the central population to Northern and Central India and the western population in Fereidoonkenar and Esfahan in Iran. 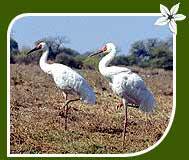 There are some beautiful bird sanctuaries in India known world wide to see Siberian crane. Of course, the Bharatpur Bird Sanctuary is on the top of the watching sites. There are some more sanctuaries where you enjoy the views of this highly endangered bird of the world.